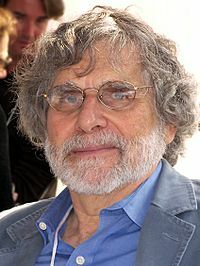 Alan Cheuse (January 23, 1940 – July 31, 2015) was an American writer and critic. He worked for the New Yorker and appeared on several segments on radio. Cheuse was born in Perth Amboy, New Jersey. Cheuse was involved in a car accident on July 14, 2015 on California State Route 17 while driving from Nevada City to Santa Cruz, California. He was reported to be in a coma on July 20, 2015 with injuries including fractured ribs, cervical vertebrae, and an acute subdural hematoma. He died on July 31, 2015 from his injuries at the age of 75 in San Jose, California. Alan Cheuse Facts for Kids. Kiddle Encyclopedia.